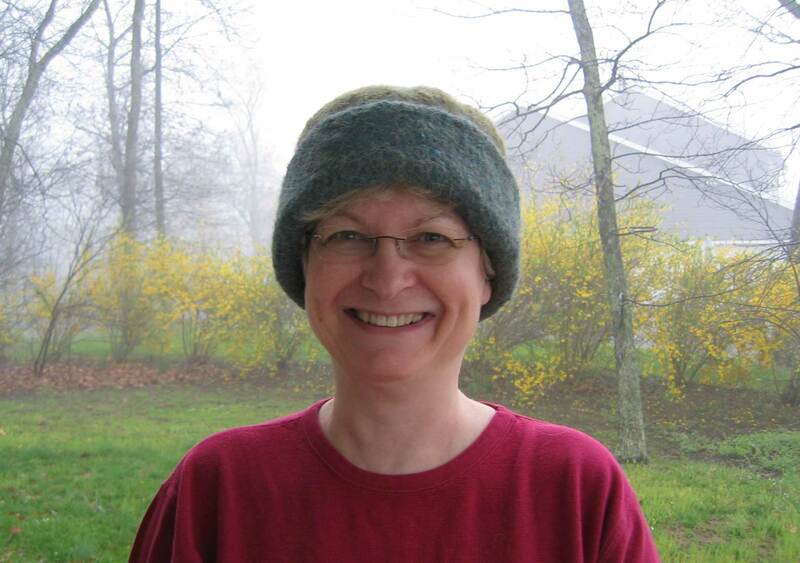 I cast on for my first CCM hat on Saturday, March 17 and finished the knitting on Wednesday, March 21. I would have finished it sooner but I miscalculated my yarn amount and ran out of yarn. By about a yard or so. I ripped it back to the row before the decreases and all was well. The yarn is a llama and wool blend and sheds like crazy! We have a septic system and I was afraid it would clog things up so I decided to felt it by hand with a 5-gallon bucket, hot water and new plunger. I should have taken pictures but I did this in the bathtub Thursday evening. It was unseasonably hot and I was working up a sweat. The lighting was bad. Trust me the pictures wouldn’t have been good. I added about 4-5 inches of hot tap water to the bucket, threw in the hat and started plunging. I changed the water every 15-20 minutes and filter out the loose fibers before letting the water go down the drain. After an hour (yes, an HOUR) of plunging, I had gotten pretty far but the hat was still too big for my head. I got my exercise that night! I put the hat in a mesh bag, tossed it into the washer with some old jeans and ran it through one wash cycle on hot. When I pulled it out of the washer, it was fairly dry. I shaped the hat and let it dry overnight. It was lumpy and had some thicker spots. 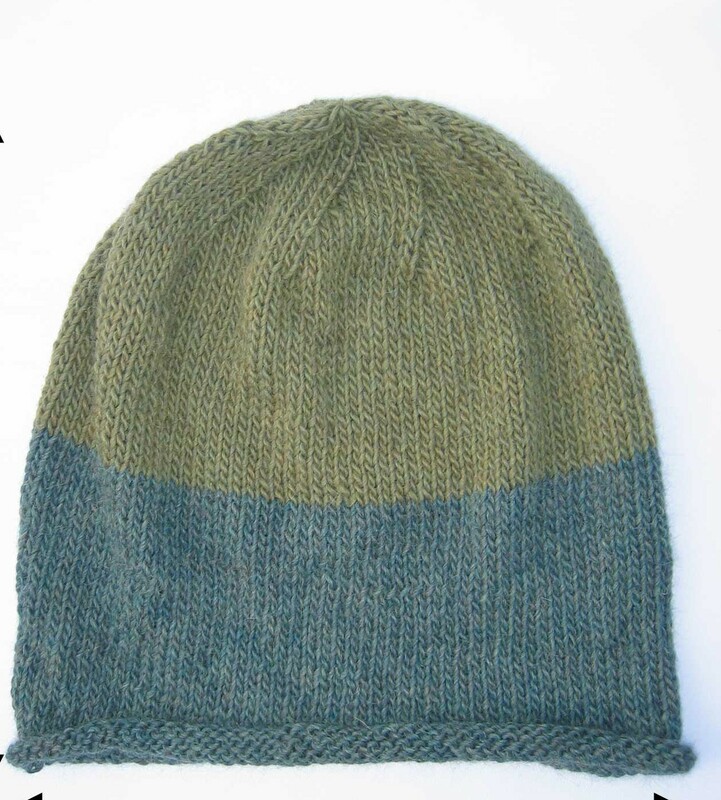 I emailed Carrie and she suggested I re-wet the hat and reshape it. I filled the bathroom sink with hot tap water and dunked the hat in. Bingo! It finally occurred to me that the hat wasn’t dripping wet when I took it out of the washer and that’s when I realized it had gone through the spin cycle. That’s why my hat was lumpy and thick in spots. I worked with the dripping wet hat to get the lumps and bumps out and now it’s better. Much better. I went to my LYS (local yarn shop) on Saturday afternoon and bought a cotton/rayon blend to embroider a design on the brim. Not sure what I’m doing just yet but Carrie’s gallery inspires me. I love leafy and spirally things. Stay tuned for the embroidery surprise! I really love this hat. Do you have a link to where I can buy the pattern? It looks great on you! Very nice hat on you. Aha! So it was the spinning, perhaps, that made it more difficult to shape? That makes good sense. I’m so grateful for your detective work on that, Patti… it’s good info to pass on to others. I’m in awe of the fact that you felted this mostly by hand – that’s a LOT of work! 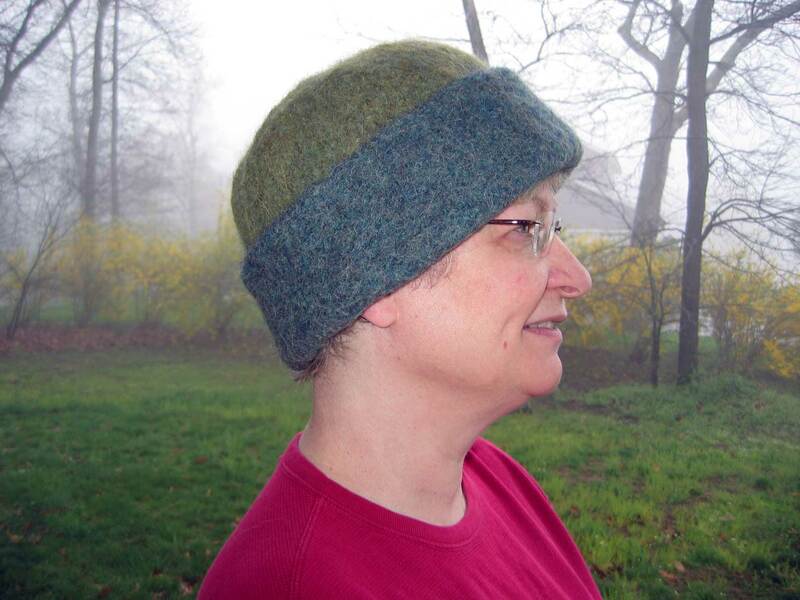 The felted hat looks fantastic on you… great color choices. I can’t wait to see what you come up with for embroidery! I thought I was aware of the washer when I left it to do a few other things that evening but obviously I wasn’t. I should be grateful that I heard the washer stop when it did so I didn’t have any more lumps! I’ve been looking at some quilted borders for inspiration (as well as your hat gallery) and found a few that I like. I just have to adapt them to the size of the brim and diameter of the hat. The I will sew in the satin ribbon. 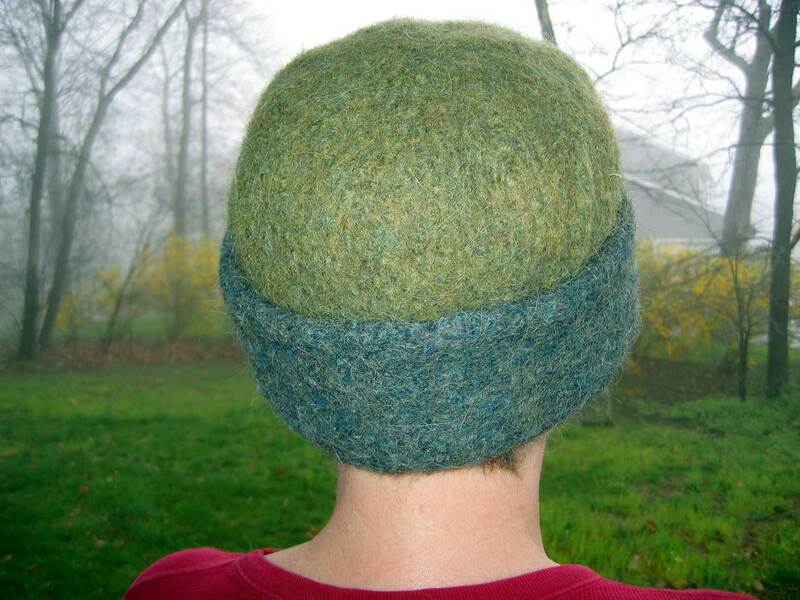 I *love* Patti’s description of how she felted her own CCM felt hat (from a kit)… Super resourceful method for felting!